I lost it today. I lost it, in a way that I never have before. I’ve been away at a work conference on employment conditions for much of this week. This morning, the topic of discussion was timing of breaks. One of the ladies present in the room made the comment that one of her team members liked to have her breaks set three hours apart, so that she could eat. Aka, she had type 1 diabetes. Overlooking the fact that a person with well managed diabetes does not need to constantly eat to avoid going low, I could definitely understand the need for such a request. I myself, thrive on a routine. I love hearing my alarm at 6, getting coffee at 9, having morning tea at 10 and lunch at 1 every day. It makes managing diabetes a little more predictable, and the adjustments are so much easier to make when necessary. Then came a reply that left me seething. Why doesn’t she just keep some chocolate behind her counter? You know how in class there’s always one of those annoying, vocal students who likes to ask questions that they already know the answer to, just to act like the smart cookie? Well, this woman was definitely one of them. I was infuriated. I was filled with rage, and this urge to shout. Yet this annoying woman who suggested chocolate just wouldn’t stop talking. I finally raised my voice over hers. The whole room went silent. She didn’t even do me the justice of turning around to face me. She can act as smart as she wants to when it comes to employment conditions for all I care. But when it comes to managing a condition that you know absolutely nothing about, it’s not on. Not on at all. Even though this didn’t necessarily concern me, it did. Even though I didn’t know this person concerned, she was a member of my tribe. The type 1 tribe. Diabetes is hard enough. I work damn hard for my health, and the last thing I need is to be told how I should manage it. Or to feel guilty for it. That was the first time in six years, that I really felt the urge to be vocal about anything diabetes. I was out of the warehouse on Friday morning, doing the rounds of my work site. I’d done it before. I knew that it would be a more intense level of activity than I was typically used to. I knew that I had gone low the last time that I had done it, some months ago. I knew what I needed to do to prepare myself, but my mind was elsewhere that morning. It wasn’t until I was outside, that it occured to me I wasn’t prepared. I hadn’t brought any skittles with me. I hadn’t set a temporary basal rate in advance of starting this activity. I hadn’t even checked my blood sugar level since breakfast. 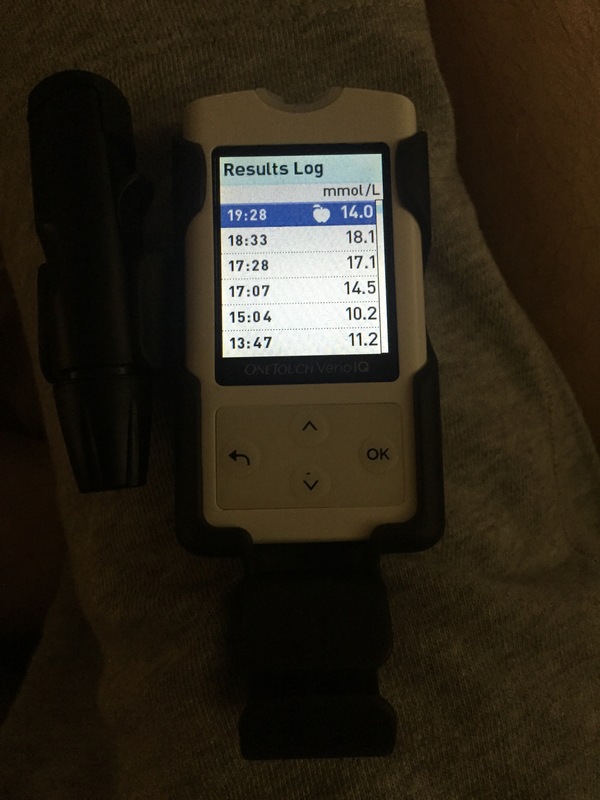 I quickly pulled my insulin pump out of my pocket, setting a temporary basal rate of “OFF” for the next hour. It had been two hours since I had last eaten and given insulin, so I was pretty confident that the insulin I had on board from breakfast wouldn’t be a significant problem. My blood sugar levels had been falling back nicely to 5.5s after breakfast for most of the week, so I was pretty confident I would be fine on that front, too. I just hoped I had set that temporary basal rate in time. It was so humid last week. That uncomfortable, sticky, draining, end of the world kind of heat. I was sweating. I was exhaling air loudly, and thinking about how unfit (read: lazy) that I was despite my very physical job. I had no idea whether it was simply the heat, or whether I was actually hypo. I glanced down at my wrist, noticing the Medic Alert bracelet that I had neglected to put on that morning – the first morning I hadn’t done so in at least a month. In that moment, all I could think about was the possibility of collapsing in the deserted carpark. Would I lose focus, and suddenly walk across into oncoming traffic? Did anyone around me know that I had diabetes, or what that meant? Would anyone even know what to do if something did happen? Where would I be able to get sugar if I desperately needed it? It’s rare that I have these kinds of thoughts. Ever. Yet being away from my meter and Skittles, alone and in a potentially dangerous situation of plummeting blood sugars, really sent me to the edge. In hindsight, I was pretty confident that I was fine. If I were dropping rapidly as I do during intense exercise, I would feel it. If I did really feel the need for Skittles, I’m sure I would have doubled back. If my mind hadn’t been so preoccupied, I would have brought them with me. When I was finally reunited with my meter an hour later, I couldn’t help but feel a slight sense of accomplishment after the morning’s events. Last night Ashley led an outstanding and insightful OzDOC chat about being the support person to someone with diabetes. Being a very independent person with diabetes, I feel it’s a topic that I often overlook. There are days where diabetes definitely has a negative impact on those around me. There are days when I’m really moody and close myself off from the conversation. I want nothing more than to just be alone. It can be frustrating watching my family talk so loudly at the dinner table, without a care in the world. When I’m having a normal person’s bad day, I still have to get through it and manage my diabetes on top of it. That makes a bad day even worse. I often feel like diabetes is a big accommodation on me. Eating well, getting my insulin doses right, maintaining healthy blood sugar levels, minimising hypos, avoiding complications and blah blah blah. I feel like I’m the only one who will have to deal with future consequences of my condition. I’m fiercely independent when it comes to managing my diabetes. Nobody knows it better than I do. Besides, I wouldn’t want it any other way. I guess one of the downsides is that somewhere along the way, I overlook the people around me who do care and do have to accommodate diabetes. The people who do hear the 1am alarms from down the hall. The people who do hear the clicks of a lancet, and the footsteps of an early morning hypo dash. The people who are concerned for my well being, but might not feel comfortable asking because I’ve shut them out. The people who have helped me out enormously with the costs of managing a very expensive condition. If I were a support person to someone with diabetes, I would definitely want to respect that it’s their diabetes and their rules. I would let them know that I’m there to support them, in any capacity of their choosing. As a person with diabetes, I would want to tell my 17 year old self to learn to lean on the people around him. They might not understand, but I know they do genuinely care. Sometimes simply having them there to support me is enough. I don’t know if I’ve got it all worked out. I definitely don’t apologise or explain my out of character behaviour after a bad day. I often feel like I need to…I definitely need to stop feeling so guilty for drinking juice in the movie theatre when the people I’m with haven’t brought anything from the candy bar. Just tell them you’re low, for heaven’s sake! I definitely feel that diabetes has made me a healthier and wiser person, which has definitely had a flow on effect to the rest of my family. We do talk about diabetes, food choices and stories that pop up on the News. Mum often cuts out stories from the newspaper and leaves them on my desk for me to read. I definitely feel like a more confident person who knows what he wants. When I’m talking to others, I find myself speaking in a more “matter of fact” manner, rather than making a point of introducing the fact that I have diabetes to someone new. 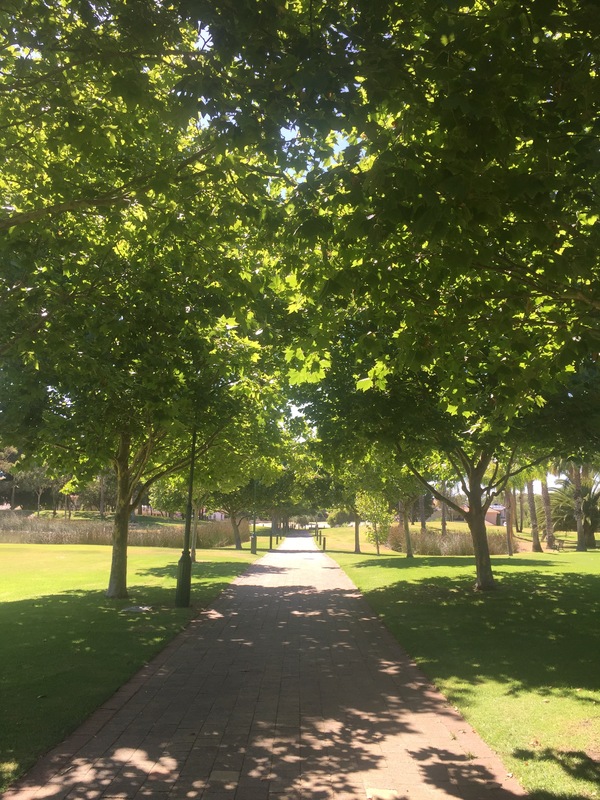 I definitely feel that I know what I want from my support people, and they know how to best support me – even if their role might seem relatively minimal. I’m now reusing infusion sets. The manual insertion nature of my Animas Comfort sets make them reusable. 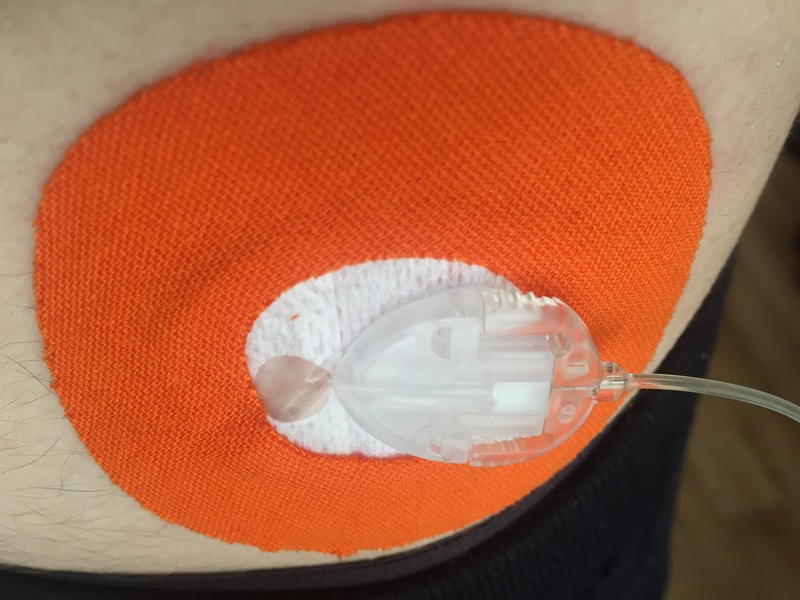 And my Rockadex Libre patches fitted perfectly around the site, making for a clean looking, one piece adhesive to hold it all down. So, why exactly am I doing this? I’m on the verge of opening my last box of Animas Comforts. Besides a few spares floating around in various places, that’s all I have left. After having a few sites that have needed swapping out earlier than anticipated, I just want to make sure that this final box will last me until my new order arrives. Why don’t I have enough of a back up on hand? I’m still waiting on an order that I had placed through my local pharmacy in December. When my order still hadn’t arrived at the turn of the New Year, my Pharmacist suggested I order through Diabetes WA, who had 3 boxes in stock. (Diabetes WA still sell NDSS products online without the free postage option that was available prior to the changes). I was able to get my hands on another two boxes in January through Diabetes WA. However when a subsequent order came back to me last week with the words “on backorder” written on the invoice, I began to worry that there might be shortages. 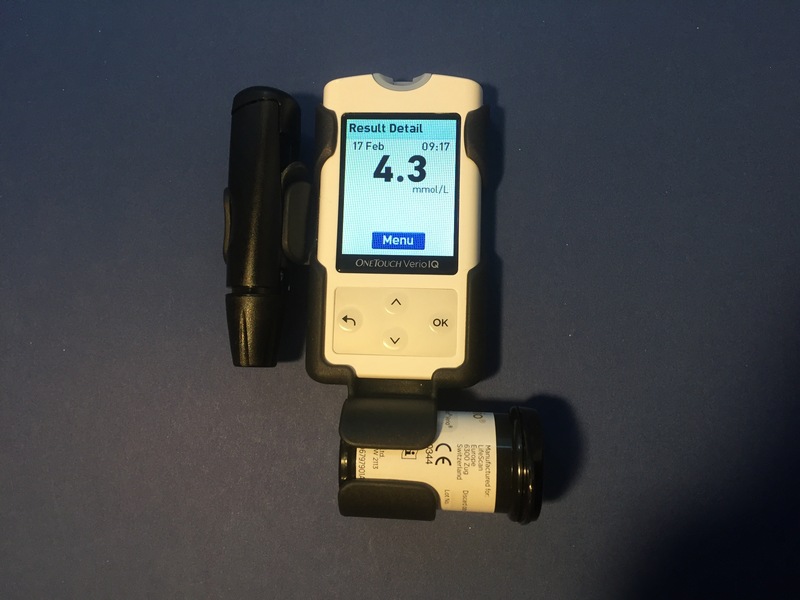 I’m told that the order from Diabetes WA is on the way in the next week, while the order from my Pharmacy is likely an issue with their wholesaler. I’m hoping I won’t be doing this for long. The extra adhesive on my skin is annoying, I hate how used it looks every time I glance at it, and I feel cheap. Which is a very first world problem. I’m lucky that I don’t have to resort to such desperate measures very often. I’m lucky that there’s plenty of spare insulin in my fridge should my pump consumables run out. I’m lucky that I have options when it comes to managing my diabetes. 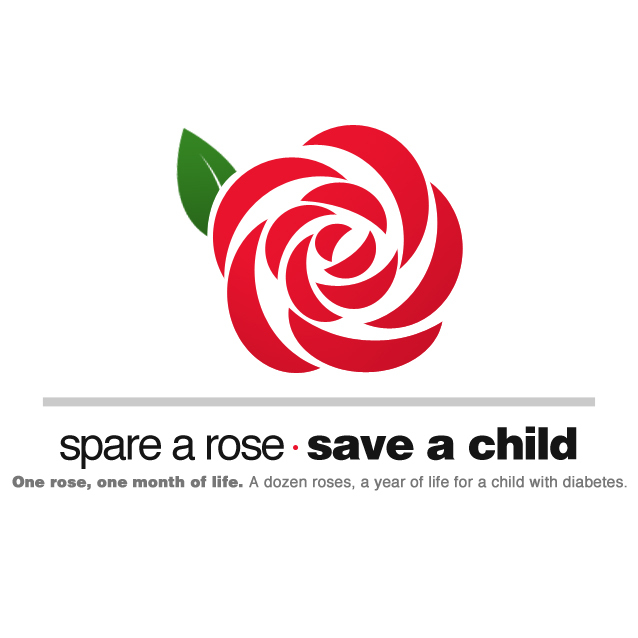 Which is why I’ll definitely be Sparing a Rose today, and donating the gift of life to a child with diabetes in the form of insulin.